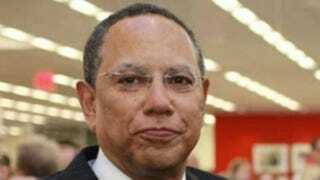 Editor’s note: In a profile about its new executive editor, the New York Times reported that Dean Baquet does not have a college degree. Baquet dropped out of Columbia University after his sophomore year after landing a summer internship at a New Orleans newspaper that he parlayed into a full-time job. The revelation took many by surprise and prompted the question of whether a journalist could land a job at the Times without a college degree. That led to the following response from environmental writer Roger Witherspoon, who gives an insightful historical perspective on news media and journalism education. The short answer to the question is no, you can’t get a job now at the New York Times—or virtually any other newsroom—without a college degree. Back in the ’60s, journalism was viewed as a trade, and while there were journalism programs, graduating from one was not required. The Michigan Daily, the college paper at the University of Michigan, for years had more alumni actually working as journalists than any institution except the journalism program at Columbia University Graduate School of Journalism. Michigan did not underwrite its media. The radio station, WCBN, and the Daily paid salaries, earned revenue from advertising, and competed with the for-profit radio stations and newspapers in the Detroit area. Most newspapers in those days had their own in-house training program. I went from NBC’s election unit to the Bergen Record in ’68, and theirs was a six-week program. You didn’t start writing for the paper until the last week and were assigned a beat after graduating. Time magazine also had a training program, though most blacks had to first work in the reference department for several years before getting a chance at reporting. Newspapers back then were pretty much lily-white—I was the first at the Record—and it was another decade before the New York City newspapers dropped their separate and unequal pay scales. Walters’ contract had parents all over America suddenly looking at the news business—particularly TV—as a worthwhile career to pursue. Watergate made stars of “WoodStein” (reporters Bob Woodward and Carl Bernstein, who shared a Pulitzer Prize for their coverage of Watergate) and gave luster to investigative reporting. In the ’80s, the Associated Press Managing Editors Association met with academic accrediting groups and worked out a deal: The APME would work with the accrediting body to set standards for journalism programs that would turn out actual reporters and in return, the managing editors would only hire folks with journalism degrees or the equivalent experience. And that is pretty much the state of the art now. I have 48 years in this business. I’ve worked in all forms: newspapers (reporter, editor, columnist, editorial writer), magazines (writer, contributing editor, here and abroad), books (two histories and a textbook), radio, television (writer and producer) and public relations (globally for Exxon). See my bio. I majored in aeronautical engineering at Michigan and, in ’66, was the only black kid there. The Ku Klux Klan tried to kill me, an effort that left me permanently crippled and always armed (pdf). A klansman ran me down while I was crossing the street. An ambulance came, but the medic said they didn’t pick up n—gers, and I walked, on a broken hip, to a hospital that would not treat me. Because of my hip, I spent a lot of time in my room listening to the radio. One day I heard the announcer telling n—ger jokes. So I walked down to the station, barged into the station manager’s office and demanded an end to racism on the air. He asked me if I thought I could do better at delivering a half-hour newscast than the guy who offended me. I said of course. He said I’d start the next day. That’s my introduction to the news. I decided I liked it and wanted to learn more. So I applied for a job at the Michigan Daily, which paid a salary and I worked at both media outlets. In April 1968 I covered the presidential primary election of George Romney—Mitt’s daddy—and found the experience of a presidential campaign electrifying, and in the long run, more interesting than building rockets. I quit school the next day and drove back to New Jersey. It was a Thursday. That Monday I walked into the NBC personnel office and said I’d like a job in the newsroom. I had just covered Romney’s campaign and wanted to do that for a living. The personnel director said they happened to have an opening in their election unit and if I wanted it, I could start Tuesday. But that was a half-century ago. I might get a job delivering newspapers today. But I wouldn’t be writing for one. Roger Witherspoon has spent more than 40 years working in all forms of the media as a journalist, author, educator, and public relations specialist. As a freelance writer, he has written for several publications, including Time, Newsweek, Fortune, Essence, Black Enterprise, The Economist, and US Black Engineer & IT.